Help is on the way for people with a fear of needles. Monash researchers have designed a drug delivery device that does away with injections. 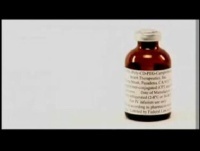 This video looks at a corn protein thats helping researchers make new skin for burn victims. 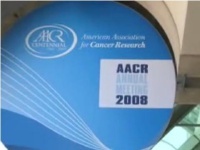 Award-winning video featuring an overview of leading-edge cancer nanotechnology research at University of California, San Diego's Moore Cancer Center. 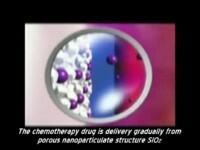 The NanoTumor Center is funded by NCI Alliance for Nanotechnology and the video is produced by NanoTecNexus in collaboration with Mindeliver Media. This video offers a glimpse of the ultra-precision rotation stages from Physik Instrumente (PI). Part of the structural series UPR-270, these rotation stages are developed for dynamic positioning of high load applications. This video offers a glimpse of the Q-Motion® drive by Physik Instrumente (PI). Q-Motion® positioning systems close the gap which has not been covered by current drive technologies. The positioning system uses a piezo inertia drives that are space-saving and economical with relatively high holding forces and an almost unlimited travel range. Stems cells can help repair damaged arteries, but it is difficult to get them to target problem areas. Nanotech correspondent Karine Thate tells how scientists at the University College London have figured out a way to use magnets to help direct the cells. Watch this videocast to learn how this method works. Courtesy of Newswise MedNews. Scientists at Georgia Tech have developed a potential new treatment against cancer that attaches magnetic nanoparticles to cancer cells, allowing them to be captured and carried out of the body. Magnetic-materials specialist Kevin O'Grady predicts a big future for magnetic nanoparticles in clinical applications ranging from targeted drug delivery to the heat treatment of cancerous tumours. Ten years ago, Mark Davis was a chemical engineer with a successful career-until his wife Mary was diagnosed with breast cancer. Mary described her treatments as so unbearable that "she wanted to die." She turned to Mark and said, "there's got to be a better way-you can fix this." Mark felt like saying, "But I don't know squat about cancer." Instead, he immersed himself in a new field. Ten years later, Ray Natha, a pancreatic cancer patient with 3 months to live, agrees to be the first subject to be treated with IT-101, the nanoparticle drug Davis engineered. But will it work? And if it does, what are the implications for cancer treatment as we know it? This video highlights the automated solution developed for silicon photonic chip production. Physik Instrumente (PI) leads the world in nano-class motion systems and photonics alignment expertise, and has the required know-how to put it all together for high throughput and yield. The drugs that often save people from cancer can also leave them with terrible and even lie-threatening side effects. The answer may not be replacing medication such as chemotherapy, but instead designing a better plan of attack on a very smart but tiny level. 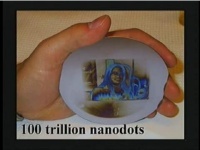 It is called nanotechnology and it is ready to revolutionize medicine as we know it. This technology may reduce the cost of whole-genome DNA sequencing by more than four orders of magnitude. This will allow for the elucidation of the genetic components of complex disease states and ultimately for the adoption of personalized and preventive medicine. This video shows the High-Precision Drives from Physik Instrumente (PI). Refractive eye surgery requires rapid and high-precision laser beam steering systems. Piezo-based, two-axis tilting platforms allow for large deflection angles, compact size, and nanometer resolution. This video is an animation of the principle behind PI’s magnetic linear motors. The magnetic linear motors correspond to a sequence of a number of voice-coil actuators; individual coils can be regulated according to a position-dependent, defined pattern (commutation). The video shows the construction and completion phase of the new modern PI Technology Center in Germany. Set amidst lush and sprawling grounds, the Technology Center boasts a 10,000 m² space for 200 workplaces, 900 m2 laboratory space, a showroom, a library, an auditorium to seat 200 people, a bistro, and a fitness studio. Nanomedicine - What is Nanomedicine? 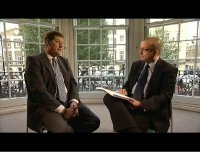 Interview with Professor Michael Ferenczi of Imperial College London. On issues concerning Nanotechnology and its application in biology and what role fundamental research plays in developing new technologies. Nanotech correspondent Alex Fiorentino reveals how a new device made in Marlborough, MA is using nanotechnology to bring HIV monitoring out of the hospital and into remote regions in need of treatment. 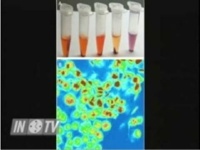 The device, called the PointCare NOW machine, labels blood cells with gold nanoparticles instead of traditional fluorescent tags. As a result, it can assess the severity of HIV quickly and portably, and without the need for expert technicians. This video shows the working principle of the advanced ultrasonic sensors from Physik Instrumente (PI). Developed for flow measurement and bubble detection, the PI ultrasonic sensors are maintenance-free and have high-operating frequencies of equal to several 100 kHz: An oscillating piezoelectric annular disk produces powerful, high-frequency ultrasonic oscillations. At nano tech 2009, nano-composite hydrogels and their application to healthcare were presented, from the NEDO project on "R&D on Practical Use of New Medical Components Using Nano-Composite Hydrogel." NC gel has very good mechanical properties and high transparency, swelling properties, and absorptiveness. It is therefore expected to have applications in medicine. This video shows PI’s High-Dynamic Hexapod that is used for test and qualification equipment. The PI High-Dynamic Hexapod offers eye tracking, image stabilization, human motion simulation, and vibration simulation. VA Research is dedicated to restoring injured Veterans to their greatest possible functional capacity in their families, communities, and work places. For those who lost limbs from combat traumas or because of complications such as diabetes, VA researchers are designing and building lighter, more lifelike prostheses using leading-edge technologies such as robotics, tissue engineering, and nanotechnology, and are studying how to best match available prosthetic components to the needs of amputees. In this video, Brian Lula, President of PI USA showcases PI USA and explains why the PI is one of the leading companies when it comes to nano-positioning and multi-axis alignment systems. This video shows an overview of Physik Instrumente’s (PI) “Open House Day” in 2017 at Karlsruhe, Germany. Opened to adults as well as children, the event saw a footfall of nearly 3000 visitors who made use of this opportunity to find out about apprenticeships and job vacancies. This video shows Physik Instrumente (PI)’s motion control solutions for laser material processing, together with ACS and SCANLAB. A panel of experts from a wide range of industries come together to discuss whether or not nanotechnology can help increase the life span of human beings. With genetic alteration and genetic therapies. In this video, Physik Instrumente (PI) showcases its wide range of precision products using a ballet dancer to move in accordance with the movements of instruments. This video provides an overview of PIMag® 6-D Magnetic Levitation offered by Physik Instrumente (PI). Features of the PIMag are active magnetic trajectory control, passive moving platform, high stiffness, and nanometer resolution. This video shows PI’s fast multichannel photonic alignment for silicon photonics. PI is able to offer precise solutions for fiber alignment from its range of precision positioning systems, keeping pace with new production and on-wafer test demands. Nano-sized particles of silver are terrific at fighting bacteria and mold, and are being used in hospital settings and for food storage. But they're also being incorporated into more casual types of consumer products, like children's toys and clothing. Could this lead to a harmful accumulation of nano silver in our wastewater treatment plants and in our rivers and streams? A team of IBM Researchers is exploring new and innovative ways to quickly read human DNA at a low cost -- an advancement that can lead to important breakthroughs in health condition diagnosis and treatment. This video demonstrates how easy it is to start up the Hexapods by Physik Instrumente (PI). These six-axis parallel-kinematic positioning systems from PI are easier to operate and are also more compact and flexible than conventional serial 6-axis systems. This video offers a glimpse into PI’s Q-Motion® Miniature Rotation Stage Q-614. The device is very compact and its rotation range if greater than 360°. It has a rotational velocity of 70°/seconds and drive torque of 5 mNm. This video shows the ‘Piezoelectric Effect’. The word "piezo" was derived from the Greek word for pressure. In 1880, Jacques and Pierre Curie discovered that pressure produces electrical charges in several crystals such as tourmaline and quartz; they named this phenomenon as the "piezoelectric effect". 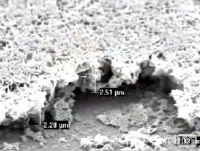 This video shows how homogenous aerosols are produced by means of specially-shaped piezo disks. A continuous drive is required by nebulizers to generate a homogenous aerosol. This video showcases PI Hexapods that provide a unique way of controlling motion with six degrees of freedom. One of the key differentiators to traditional multi-axis positioning systems is the randomized, software-programmable pivot point. This video offers a glimpse of the various commercially available piezomotors by Physik Instrumente (PI). Piezomotors come in various designs, which are optimized for different applications. Parameters such as speed, cost, holding force, pushing force, size, and stability can be influenced by different designs. Kelvin P. Davies, Ph.D., and Joel M. Friedman, M.D., Ph.D., discuss their research using nanotechnology to deliver erectile drug treatments. A pulmonary delivery device, based on surface acoustic wave technology, is being developed for the delivery of drugs such as insulin, in the form of a liquid aerosol. 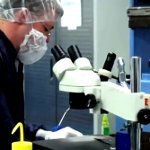 An Oklahoma company, Access Optics, is using nanotechnology to help everyone from surgeons to scientists to see better. This video shows the 10-axis setup from Physik Instrumente (PI) for testing user interfaces of mobile end devices. It demonstrates a broad range of prospects for precision automation. A linear motor in an XY stage guarantees quick low-wear positioning on a plane. At nano tech 2009, artificial joint material using carbon nanotubes was presented, from NEDO's project on "Development of High-Performance Artificial Joint Sliding Components by Nano Biotechnology." Conventionally, polyethylene and ceramics are used for artificial joints. The project developed an entirely new material that combines carbon nanotubes with those materials. The research team aims to extend the life of artificial joints, which is currently 15-20 years, reducing the need for replacement operations. This video shows the various precision motion products solutions offered by Physik instrumente (PI) for microscopy and imaging applications. Super-resolution microscopy and imaging requires extremely fast, stable, and accurate positioning equipment, for example, lens positioners and scanners, microscopy stages, fast nano-focus devices based on piezo, voice-coil, and linear motor technology. This video provides an overview of the PI Nexline® range of piezo stepping drives from Physik Instrumente (PI). The piezo stepping drives are essential components and have a number of piezo actuators that are preloaded against a guided runner. In a new NCI-funded study, researchers will be merging nanotechnology and cancer surgery techniques with the aim of finding tumor cells. Dr. Shuming Nie (Emory University and Georgia Institute of Technology) explains how nanotechnology and related technology would be able to aid cancer surgeons. A MicroArray Patch technology is being developed for the transdermal delivery of large molecule drugs, without the use of injections. Searching for biomarkers that can warn of diseases such as cancer while they are still in their earliest stage is likely to become far easier thanks to an innovative biosensor chip developed by Stanford University researchers. Nanotech expert Gregg Early discusses some exciting new developments that combine nanotechnology with cutting edge medical applications. This video shows the innovative PI Piezo Flexure Nanopositioning Systems with PICMA® Technology. These PZT Flexure Stages from PI are based on the highly reliable PICMA® actuators, which are installed in the Mars Rover. 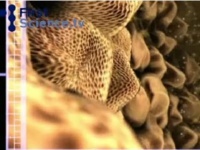 This European Commission video looks at how micro and nanotechnologies are revolutionising medicine. Nanotech correspondent Alex Fiorentino descibes how scientists from Australia are using tiny drug delivery packages derived from Salmonella to destroy cancer cells in mice. The packages deliver anti-cancer drugs directly to cancer cells, and have shown promising results in eliminating even drug-resistant cancers. Clinical trials are set to begin next month in Australia. Watch this videocast to learn more. Nasa's plan for looking after astronauts' health during long space flights - nanobots! Human DNA is under constant assault from harmful agents such as ultraviolet sunlight, tobacco smoke and a myriad of chemicals, both natural and man-made. Because damage can lead to cancer, cell death and mutations, an army of proteins and enzymes are mobilized into action whenever it occurs. Therefore there is a system of DNA repair in a cell. This video offers a glimpse into Physik Instrumente (PI)’s complete range of fast multi-channel photonics alignment (FMPA) systems for the silicon photonics market. These unique, easy-to-integrate subsystems are developed for aligning fibers and optical components. 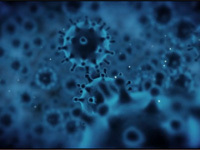 Nanotechnology is a term widely used today that describes mans ability to control the manufacture of functional nanosystems, or to deliberately create structures at the nano scale that exhibit unique properties. Dr. Steven C. Kazmierczak provides a basic understanding of the concepts underlying nanotechnology, and describes how materials function differently at the nano level compared with the macro scale. The importance of nanotechnology as it relates to medical technology is the primary focus. This video showcases PI’s Direct Drive Linear and Rotary Motors. The PI Linear Motors and Voice Coils are used for nano-meter level motion control, precision automation, and high-speed actuation. Air bearings, MagLev, Torque Motor, Voice Coils, and Hexapods are also available. Professor Ulijn describes some of his recent novel work into the design of biomolecular materials. Nanotechnology cancer treatments use tiny particles to unleash poisons into cancer cells without the harmful side effects of chemotherapy. 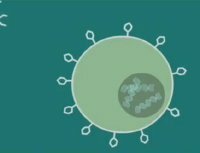 Learn how nanotechnology is improving cancer treatments with information from a doctor in this free video on cancer. This video shows an animation clip of the LPS-65 Linear Piezo Stage by Physik Instrumente (PI). The LPS-65 is very compact and self-locking when switched off, thereby saving energy and reducing heat generation. In this video, Tim Naumann from PI’s Engineered Systems talks about the delivery of the microscopy and quality assurance (MiQA) system to the customer, KIT. The journey takes place from its site of origin at PI Micos in Eschbach to the Karlsruhe Institute of Technology. In our continuing series on the science of the small, we see how scientists have miniaturized technology not too different from what you can find in the grocery store, tiny barcodes that could detect diseases in people and animals. The researchers from North Carolina State University have developed what they call nano-sized cargo vehicles that can be loaded with anti-cancer drugs and target tumor cells inside the human body. The delivery system, a virus known as the Red Clover Necrotic Mosiac Virus, has a built-in "cargo space" of 17 nanometers, which can be loaded with anti-cancer drugs. This video shows Jan-Philipp Suske, Physik Instrumente (PI)’s Area Sales Manager, at the Hannover Messe 2016, providing details about the various PI products. This video shows the advanced piezo actuators from Physik Instrumente (PI). These instruments can convert electrical energy directly into mechanical energy and vice versa. Their motion is based on crystalline displacements, so there is neither wear nor friction. Around 200 students and staff from MIT and the Boston area acted out the delivery of chemotherapeutics to cancer cells via nanoparticles at the David H. Koch Institute for Integrative Cancer Research at MIT. This video shows the advanced PIMag® Gantry System. Key Features of the PIMag® Gantry System include vertical axis with pneumatic counter weight, 508 mm x 508 mm travel range, ironless linear motors, direct measuring incremental linear encoders, and controlled by ACS Motion Control. This video shows the advanced PILine® ultrasonic piezomotors from PI. The ultrasonic piezomotors are designed for high-dynamic motion in a small form factor. A new, ring-shaped actuator principle allows for rotary stages with a footprint of 20 mm x 20 mm at a velocity of 720°/second. In this video, Dr. Markus Simon, head of beamline instrumentation group at PI miCos, explains the structure and working of a special system set-up that for synchrotron X-ray spectroscopy. The system utilizes products from the field of hexapod technology and can be used to perform a range of tasks such as material testing. Scientists and engineers are collaborating across disciplines to develop and network miniaturized intelligent nanosensors that can rapidly and remotely detect change in their surroundings. These sensors have a wide range of potential applications: environmental, medical, military and transportation. This workshop will focus on revealing the chemistry and physics behind the creation and application of these sensors. 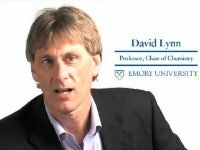 David Lynn, professor of biomolecular chemistry at Emory University, is at the forefront of innovative research on supramolecular self-assembly and the origin of life, leading to discoveries which could play a role in new drug design, genetic engineering and nanotechnology, and provide a better understanding of the origins of living systems, and the causes of Alzheimer's Disease. This video offers a glimpse of the PIMars range of nanopositioning stages by Physik Instrumente (PI). PI offers an extensive selection of high-precision nanopositioning systems for 3 linear axes as well as 6 axes (3 linear, 3 rotary). 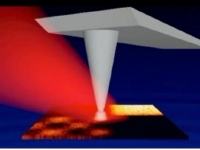 One of the predominant features of nano-materials is an extremely high surface area. Emerging Science joins Chris Landry, professor of chemistry at the University of Vermont, as he describes how nanotechnology applications are improving the efficacy of cancer drugs by delivering more medicine to patients. This video shows the Q-Motion Miniature Linear Positioning Stage Q-521 from Physik Instrumente (PI). The Q-521 is a compact, high resolution, and cost-efficient miniature linear stage. 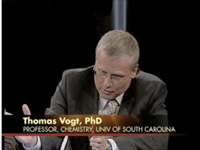 Naomi Halas says nanotechnology could cure cancer; Gerhard Knies explains how the sun could give us all clean energy. This video highlights the different precision motion and positioning technologies manufactured by Physik Instrumente (PI). PI’s Piezo Motors have features, such as the smallest designs; lowest cost; linear and rotary; forces to 1000 N; sub-nm resolution; and self-locking. The video shows a heavy-duty lifting and rotating platform designed by Physik Instrumente (PI) for test and qualification purposes. The platform has a capacity up to 10 tons load and includes free rotation by 360° degrees. Dr. Graham Duncan and his team at the University of Strathclyde explain how they use Dip Pen Nanolithography (DPN) in their research. In particular they are looking at cells and other biological systems to gain a better understanding of how the human body works. Their work has huge potential and enormous benefits for the human race. This video shows the extensive portfolio of PI’s precision motion technologies that are integrated into comprehensive motion systems. PI is a worldwide leading supplier of solutions in the field of motion and positioning. The video offers glimpses of the Hannover Messe 2017, one of the world's largest trade fairs dedicated for industrial technology. This video shows the operating principle of PI Ceramic’s Disk Actuator. The multilayer contracting plates can be manufactured in various shapes, for example, disk-shaped (circular) or rectangular, and are available on request. In this "PI Insights" video, Physik Instrumente’s (PI) subsidiary PI Ceramic introduces itself and explains how it uses its wide-ranging know-how, experience, and unlimited flexibility to manufacture piezoceramic solutions for research and industry and also demonstrates how these elements are then made to work. Manning Innovation Award winner Rober Burrell talks about using silver to create high-tech wound dressings that changes what we know about how silver can work in healthcare. The video offers a glimpse into the new spray drying tower at PI ceramic. The granulate happens to be the basic material for the piezo components made by pressing technology. Therefore, producing a compressible granulate is a crucial step in material preparation. Insulin injections may soon be a thing of the past for diabetics thanks to nano-technology. At UCSF Professor of bioengineering, Tejal Desai, implants millions of pancreatic cells that secrete insulin into tiny capsules that can be implanted into the body in an effort to create an artificial pancreas. When blood sugar flows inside the capsule, it stimulates the cells to produce insulin to control sugar levels. The device has nano pores, pores so small that the body's antibodies cannot get in to attack the cells, but large enough that the insulin can flow out and into the body. Dr. Timothy Triche and his team at The Saban Research Institute at our hospital are working to find better and safer treatments for children with cancer. His team is developing nanotechnology in order to deliver targeted chemotherapy payloads directly to the cancer cells, leaving the healthy cells in tact. Liquid medical silicone molding in Albright's Clean Room. A natural product found in both coconut oil and human breast milk lauric acid -- shines as a possible new acne treatment thanks to a bioengineering graduate student from the UC San Diego Jacobs School of Engineering. The student developed a smart delivery system published in the journal ACS Nano in March capable of delivering lauric-acid-filled nano-scale bombs directly to skin-dwelling bacteria (Propionibacterium acnes) that cause common acne. This video shows PI’s non-sensitive piezo drives specifically developed for magnetic resonance therapy. Piezo drives are the only drives which are not affected by strong magnetic fields, and also they do not create magnetic fields which can become a source of interference. Researchers are using nanotechnology to develop a medical dressing which will detect and treat infection in wounds. Scientists at the University of Bath and the burns team at the Southwest UK Paediatric Burns Centre at Frenchay Hospital in Bristol are working together with teams across Europe and Australia to create an advanced wound dressing. The 4SPIN from Contipro is a device for preparing nanofiber layers from solutions of synthetic and natural polymers and is capable of generating random and ordered nanofiber layers with different degrees of alignment, even in sterile rooms. In this video, Physik Instrumente (PI)’s Beamline Instrumentation business development manager talks about the sample stage for micro-tomography application installed in the micro tomography experimental hutch of the P05 Beamline at PETRA III light source in Hamburg, Germany. Nanoparticles are being developed for diagnostic imaging, for the early detection of neurological disease, cardiovascular disease and cancer. 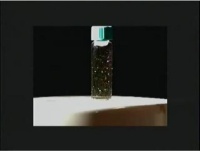 The technology is based upon contrast nanoparticles which can be metallic, magnetic or polymeric in nature. These particles can be functionalised with a biological targeting agent such as an antibody and are generally between 10 and 100 nm in diameter. More than 70% of patients with pancreatic cancer derived a clinical benefit when treated in a small, phase I trial with the combination of nanoparticle albumin bound paclitaxel (Abraxane) and gemcitabine (Gemzar), investigators reported here. This is a nice video about treating brain tumors by using nanomedicine techniques. It was made by "Universidad Autonoma Metropolitana". It actually says that the best way to treat these kind of cancers is to do a controlled release of chemotherapy directly into the site using silica reservoirs. This video shows the all-ceramic multilayer bender actuators from PI Ceramic. Part of the PICMA® Bender product series, the actuators have very low piezo voltages. This video offers a glimpse of the Q-522 Q-Motion® Miniature Linear Stage by Physik Instrumente(PI). Q-Motion® stages have very small dimensions and a high position resolution in the nanometer range. This video looks at the concept of additive manufacturing processes. These processes are no longer a prototype niche and are on their way to establishing themselves in industrial production. Although injection molding is the preferred choice for processing plastics where the quantities are large and the demand for quality is high, additive manufacturing is predestined for efficient production of separate parts and small batch production. This video shows image stabilization and microscanning. High resolution and stability are vital for the precision of imaging techniques in biometry or in medical research and diagnostics. For this reason, the imaging components are moved rapidly and precisely. Functionalized nano- and microscale particle systems have become a key component in biomedical applications, from drug delivery to prosthetics. Their small size and potential for modification and functionalization make them ideal for performing specific tasks within the human body. Hongjie Dai is a chemist at Stanford University. He and his team of researchers have developed a method for treating cancer using carbon nanotubes, synthetic rods so tiny that thousands could fit in a single cell. 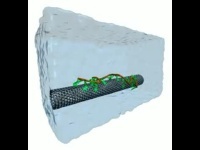 The team coats carbon nanotubes in the B-vitamin folate. 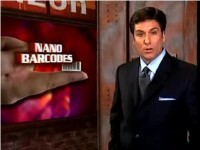 In that way they can fit the nanotubes to the numerous folate receptors present on cancer cells. 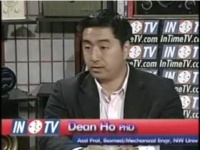 Dr. Ogan Gurel interviews Dr. Dean Ho (Assistant Professor of Biomedical & Mechanical Engineering at Northwestern University) discusses " Emerging Technologies for Nano-Engineered Medicine " In this second excerpt, Dr. Ho discusses two of the projects in his laboratory involving nanodiamond materials for therapeutic drug delivery and nano-films in vivo localized drug release. The noted researcher in biomedical optics discusses new imaging techniques involving nanotechnology, plasmonics, and the use of molecular sentinels for biosensing and diagnostics. The Biodesign Institutes Hao Yan uses DNA as a nanotechnology building block for biosensors, bioelectronics and human health applications. The ElectroNeedle patch detects and identifies biological markers just beneath the skin's surface. 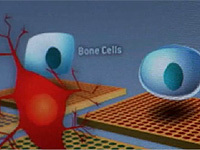 Microneedles of various heights enable the patch's biological-recognition layer to contact appropriate tissue - for example, interstitial fluid in the epidermal layers or blood in the deeper dermal layers. Hosokawa Powder Technology Research Institute, a member of the Hosokawa Micron Group, is currently in the process of developing new scalp care using nanotechnology. 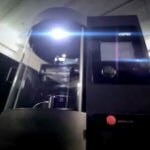 This video shows the PI hexapod used exclusively for a bottle labeling system. In partnership with Tirelli, an Italian machine manufacturer, Physik Instrumente (PI) designed and manufactured the prototype of a novel labeling machine. This video shows the operating principle of compact drives offered by Physik Instrumente (PI) for piezoelectric micropumps. Micro-diaphragm pumps need compact drives, which can offer a continuous flow and variable flow rates. This video offers a glimpse into the features of PiezoMike series of linear actuators by Physik Instrumente (PI). Based on low-cost inertia principle, the PiezoMike linear actuators are distinguished by their compact design, long lifetime, and travel ranges up to 26 mm. This video offers a glimpse into the Motion Centric Industrial Solutions available from Physik Instrumente(PI) for inspection, testing and assembly. Presented by MANCEF and the University of Utah Center for Engineering Innovation at the Grand America Hotel, Salt Lake City, COMS 2014 is the 19th edition of the international conference on commercializing micro- and nanotechnology. This video shows Physik Instrumente (PI)’s Nexact® piezo stepping drive with subnanometer precision. The N-565 linear positioner is more compact, achieves higher velocities, and has developing forces in the range of 10 to 20 N. A suitable selection of the piezo elements optimizes step size, clamping force, velocity, and stiffness for the respective applications. 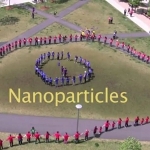 This video is a simple and easy to understand demonstration of how engineered nanoparticles can be used to detect and diagnose various diseases in the body. This video shows an overview of Q-Motion® XYZ Miniature Positioning Stage by Physik Instrumente (PI). The high precision piezo inertia motors are compact, versatile, and have nanometer precision. This video shows the operating principle of Physik Instrumente (PI)’s Nanodispenser. The drives used for nanoliter or picoliter dosing devices must function with high-operating frequencies of up to several kHz and at the same time create the kinetic energy needed to produce minute droplets without subsequent nebulization, dripping, or satellite formation. This video shows the advanced PICMA-Walk V8 Piezo Linear Motor from Physik Instrumente (PI) that is synonymous with power, reliability, and precision. The reliable and durable piezo stepping linear drive provides uniform feed, constant velocity to 15 mm/s, and 60 nm maximum holding force. This video shows the operating principle of the Piezomove® flexure actuators from PI. In nanopositioning technology, flexure guides have shown to be appropriate for positioning tasks of up to several millimeters. Dr. Federman will develop and test targeted nanoparticles to treat pediatric sarcomas (aggressive and often lethal bone and soft tissue cancers), in which the survival rate for patients is less than 20% despite incredibly aggressive chemotherapy, surgery, and radiation treatments. This completely novel and high-risk project would be a breakthrough in our current treatment of pediatric cancers, leading to the development of powerful new therapeutic strategies in aggressive childhood malignancies. If successful, we hope to rapidly translate this technology from the laboratory bench to the patient's bedside. This video shows the working principle of the voice coil drives by Physik Instrumente (PI). Magnetic linear drives and voice coil actuators function based on the fact that the force acting on a current carrying conductor in a magnetic field is proportional to the strength of the magnetic field and the current. This video shows a simulation of a quadrocopter’s (drone) flight to test the quality of the camera’s image stabilization. A CIPA-certified Hexapod from Physik Instrumente (PI) was used to simulate the motion. Near field optical microscopy using AFM in combination with laser to produce high resolution images at the nanoscale on samples ranging from quantum dots to biological samples. The focus is on imaging various biological systems. This video presents Physik Instrumente (PI)’s piezo-based PInano® sample and PIFOC® objective scanners developed for Super Resolution Microscopy, Confocal Microscopy, and Atomic Force Microscopy. 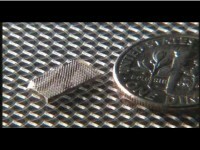 A nanomatrix for stent coating designed at the University of Alabama at Birmingham (UAB) mimics natural endothelium, the substance that lines blood vessels, and promises the potential to prevent post-operative tissue scaring along the blood vessel wall, greatly reducing the possibility of future thrombosis, or blockage at the stent site. This next generation nanotechnology could prove vital to reducing coronary artery disease, the number one cause of death in the United States, said Ho-Wook Jun, Ph.D., a UAB assistant professor of Biomedical Engineering and principal investigator on the discovery. This video shows Matt Reck, Product Manager for Air Bearing Technology, roviding an insight into PI USA’s Engineering and Manufacturing Center in Hopkinton, Massachusetts. A team of scientists from the Royal Institution's Davy Faraday Research Laboratory and UCL explain the nanotechnology behind a breakthrough in cancer treatment. Siteman Cancer Center, provides a research and clinical resource in the Midwest for both the fundamental exploration of nanotechnologies applied to cancer and also their translation, commercialization and application in the clinical environment. Dr. Ogan Gurel interviews Dr. Dean Ho (Assistant Professor of Biomedical & Mechanical Engineering at Northwestern University) discusses " Emerging Technologies for Nano-Engineered Medicine " In this first excerpt, Dr. Ho discusses some of the interesting challenges an opportunities involved in the intrinsically interdisciplinary work required for nanotechnology. Carbon nanotubes cause single stranded DNA molecules to undergo a conformational change that enables DNA bases (green) to stick to the carbon nanotube wall. This video shows the various products and solutions offered by Physik Instrumente (PI). Product range includes nanopositioning, microscopy, astronomy, and piezo solutions. Bee toxin and target it to cancer cells? Museum of Science nanotechnology correspondent Alex Fiorentino tells the story of two intrepid Washington University researchers who asked... and found out.